You won’t see this any more. There’s no longer a digital media player called simply “Apple TV” in this company’s product line up. But it wasn’t discontinued, just renamed, pobably to prevent confusion with the upcoming Apple TV+ streaming service. As of this morning, this company’s base model media player was redubbed Apple TV HD. This supports at most 1080p video and sells for $149, like it did when it was called just Apple TV. There was no need to modify the high-end version of this device, as it was already named Apple TV 4K. 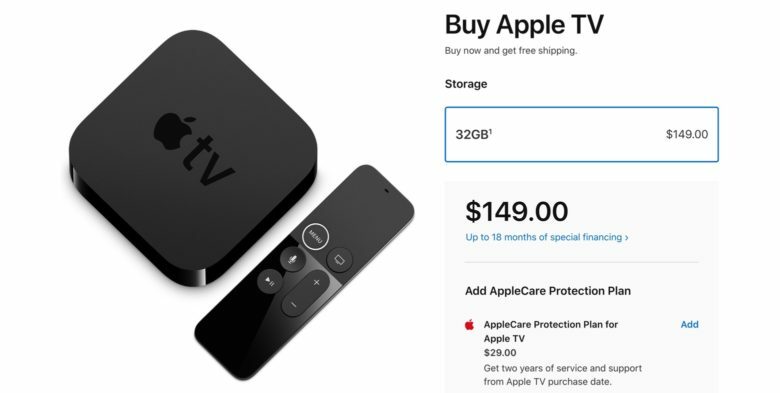 With this change, there are no longer any products dubbed simply “Apple TV.” This will hopefully reduce the chances of confusion between this company’s video hardware (Apple TV 4K and HD), software (Apple TV App) and services (Apple TV+).